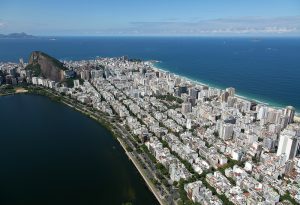 RIO DE JANEIRO, BRAZIL – After a protracted debate, Brazil’s National Monetary Council has finally approved an increase in the value of homes that workers can use their FGTS (a government-led unemployment insurance fund) to purchase. In Rio, residents can now use the money to help buy a home worth up to R$750,000, reflecting the surge in property values in the city. In Rio the FGTS limit was raised to R$750,000, photo by Pedro Kirilos/Riotur. The figure also applies in the states of São Paulo, Minas Gerais and Brasília, whilst across the rest of the country the limit – applicable from October 1, 2013 – was raised to R$650,000. The monetary council, comprising high-ranking officials from the Central Bank, the Finance Ministry, and the Budget and Planning Ministry, significantly increased the cap from a previous R$500,000 as a result of high inflation, increasing construction costs and soaring real estate prices, particularly in Rio and São Paulo. The new measure should, however, improve purchasing power in a worryingly hard-to-enter real estate market. “I do think that this substantial increase will have a positive impact on demand. The previous maximum price level has been pretty much disconnected from the market price,” Johan Jonsson, CEO of Agente Imóvel, told The Rio Times. In Ipanema, one of Rio’s most expensive areas, the new limit buys a one bedroom apartment of around thirty square meters, photo by Fernando Maia/Riotur. The Fundo de Garantia do Tempo de Serviço (FGTS) was created in 1966 to provide unemployment insurance for workers, with companies paying eight percent of salaries into the fund every month. The money can only be accessed if the employee loses his or her job, suffers severe illness or retires, or to purchase a primary home, which is also applicable to foreigners working in Brazil. The fund can only be used for housing in the municipality and surrounding area of the employee’s work or his place of residency, having contributed to the fund for at least three years. The money may only be spent on the first house, as applicants cannot be involved in other housing projects or already own a home. According to a report by Secovi Rio, around twenty percent of the city’s housing market is at priced between R$500,000 and R$750,000, which are those newly applicable for FGTS financing. 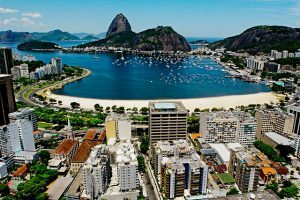 For R$750,000 in Rio’s Zona Sul (South Zone), one can currently purchase a two-bedroom apartment of around sixty square meters in areas such as Catete, Laranjeiras or Flamengo, where prices have not yet reached the levels of, for example, Ipanema, where the amount would buy a one-bedroom apartment of around thirty square meters. “In [parts of] Zona Sul that will only buy you a studio or a one bedroom apartment at the most. However, in all main new area for new constructions in Zona Oeste, such as Barra da Tijuca, Taquara or Recreio this will buy you a family home,” Jonsson explained.